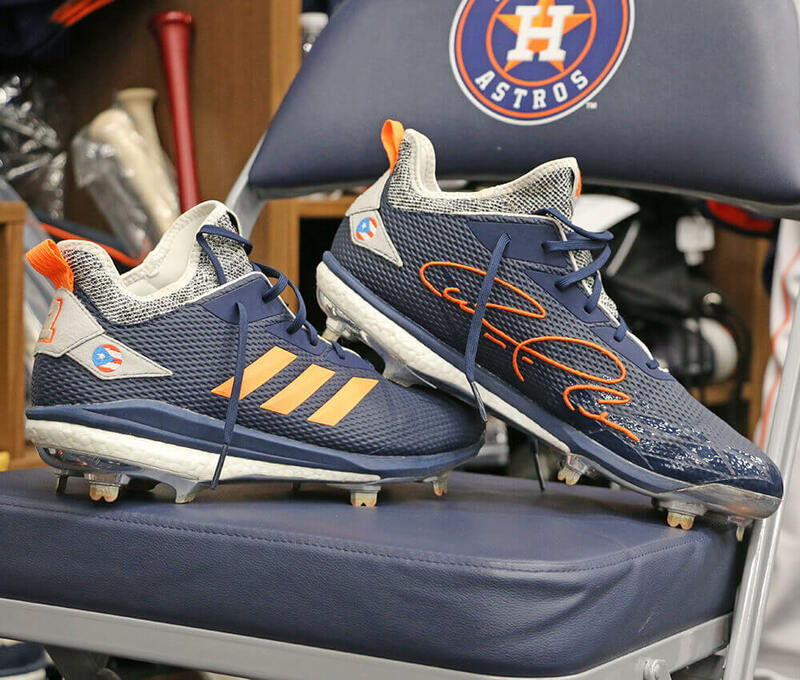 Alex Bregman joined teammate Carlos Correa on the adidas bandwagon, signing with the company that, in 2018, took over as the #2 cleat in baseball. 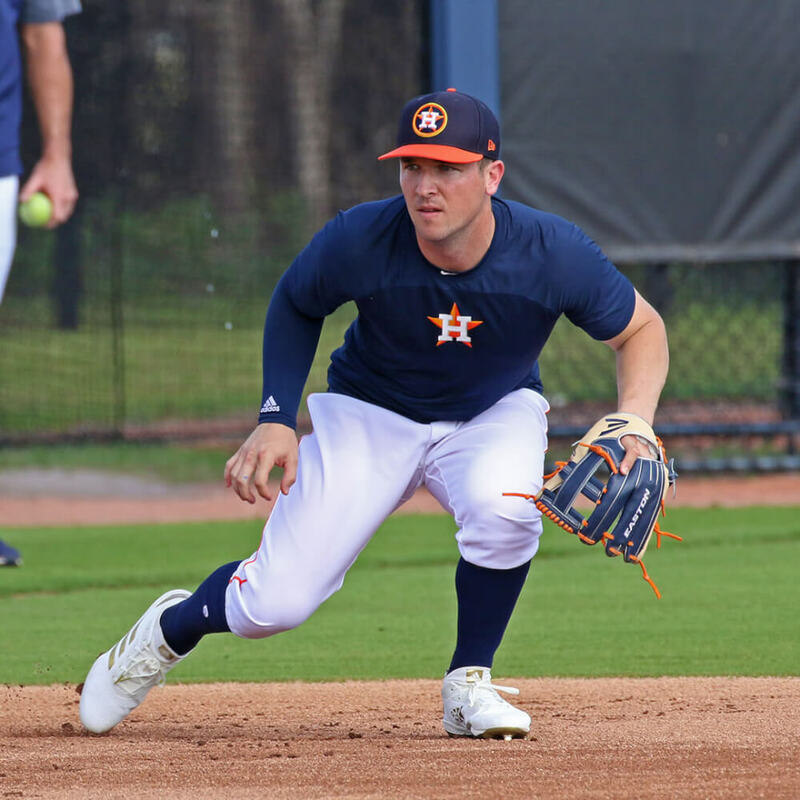 While he’s flirted with just about every big brand in his young career, Bregman showed up to Spring Training 2019 in adidas (above), specifically the adiZero Afterburner V.
With the announcement, we’d expect to see some custom treatment for Bregman, who represents another savvy addition by Team Three Stripes. While its one thing to have the natural influence that comes with being an All-Star MVP, its an entirely different thing when you see a guy who charges towards the limelight like Bregman. I can’t say I’ve seen many baseball players attack stardom like Bregman has, evidenced by his one-of-a-kind YouTube channel which seems to be growing by the thousands each day. He’s also the first ballplayer to give his fans a “locker tour” (without our help), so you know the guy gets it. We love what adidas has done with Correa (above) and Bryant and we’re excited to see what Bregman will be working with come Opening Day. 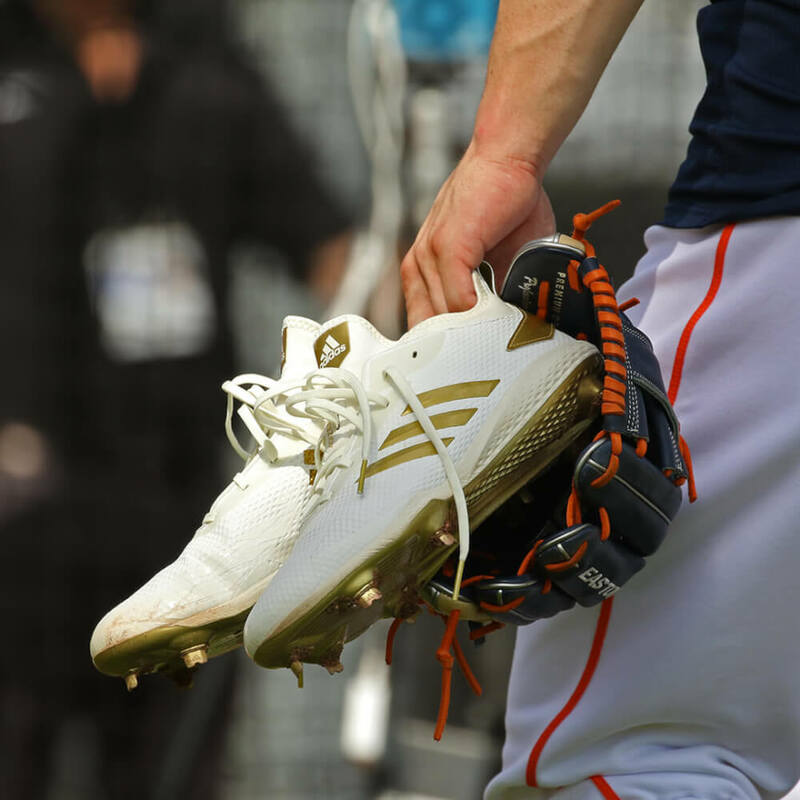 Shop Bregman’s Spring Training cleat, the Afterburner V, at Baseball Express.